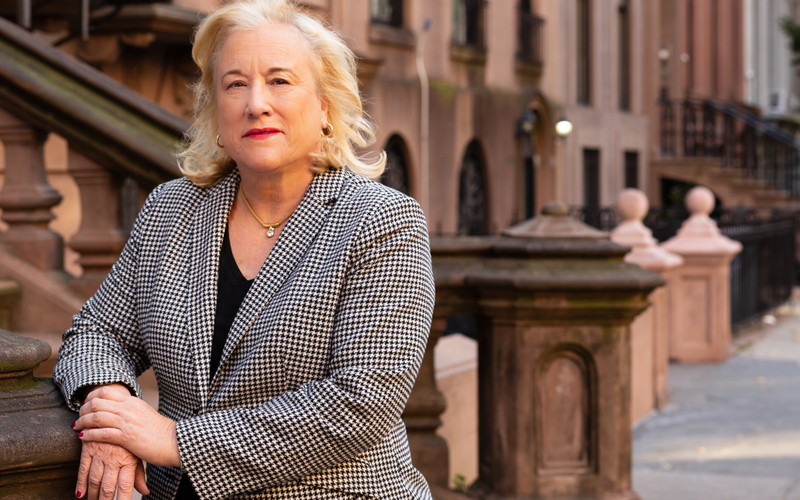 Sandra moved to Brooklyn from New Jersey after college and graduate school for a career in outside sales .In believing in home ownership she purchased her first of many homes in 1986 in a newly converted brownstone in Prospect Heights. Michael Dowling was her broker. They married ,Sandra joined forces with Michael in a booming real estate economy and later established her own successful brokerage firm, Brooklyn Heights Real Estate, Inc. The firm has been located at at 158 Montague Street since 1995 with a large amount of repeat business with those customers who prefer the feeling of working with caring agents at a boutique firm rather then in a corporate environment. Having been in sales starting as a teen selling Avon door-to-door then moving into a field unique to women selling industrial products also door-to-door Sandra knows sales and people inside and out. EDUCATION: BA, MS, MBA credits, advanced Real Estate coursework and diplomas. EXPERIENCE: The whole spectrum of rentals and sales;residential,commercial,new developments. VOLUNTEERISM: Founding member Brooklyn Bridge Rotary Club and current president, contributor Mayor’s Alliance for Animals, Brooklyn's Save Our Stray and Cat Cafe organizations ,long time volunteer "Meals on Heels (Wheels)” and many day-to-day ,year-to-year activities.